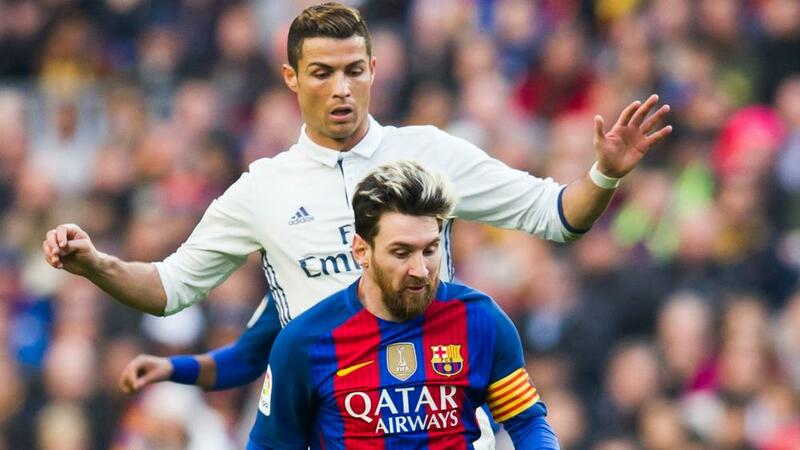 Lionel Messi says he misses facing rival Cristiano Ronaldo as the former Real Madrid forward gave "prestige" to LaLiga. After helping Madrid win a fourth Champions League title in five years, Ronaldo left the club to join Serie A giants Juventus in July. Ronaldo has continued to save his best for Europe's elite club competition, with a hat-trick against Atletico Madrid firing Juve into the quarter-finals of the Champions League. The draw subsequently ensured Messi and Ronaldo cannot meet unless both clubs advance to the final, which is set to be played at Atletico's Wanda Metropolitano home. Madrid are lagging 12 points behind LaLiga leaders Barca and Messi suggested he misses the competition provided by Ronaldo. "I miss Cristiano," Messi told FM Club 947 in Argentina. "Although it was a bit of a shock to see him raise trophies, he gave LaLiga prestige. "I don't want to forget anyone, but I think that Neymar, [Kylian] Mbappe, [Eden] Hazard, Luis Suarez and [Sergio] Aguero are the best," Messi added. Aguero was a surprise omission from the latest Argentina squad as Messi made his return after a nine-month absence following the World Cup. Manchester City's all-time leading goalscorer has fired 18 Premier League strikes this season and Messi indicated he feels the forward should be a more regular international selection. Messi continued: "Kun [Aguero] has told me on many occasions, 'I'm Leo's friend and am a substitute'. If it was up to me, Kun would always be a starter.